What with the new Torchwood Miracle Day running at the moment, there seems to be a lot of SFictional theorising about what the impact of everyone living forever would have on society. 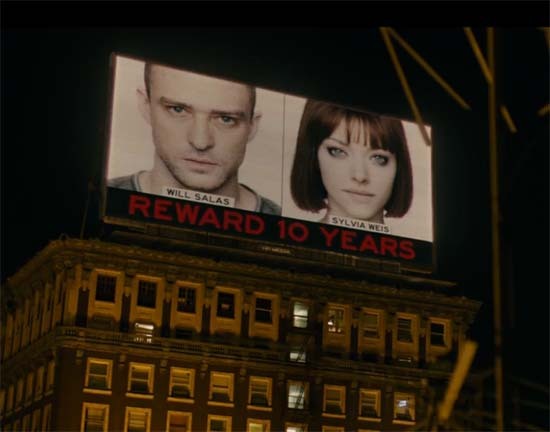 Here comes a new film asking the same thing – In time – starring Justin Timberlake and made by Andrew Niccol, the creator of the genius and much underrated Gattaca (and The Truman Show). In this one genetic engineering means you can live forever, but to stop the world filling up, the rich genetically engineer everyone else to die at 25 unless they get an embedded clock in their forearm re-set. Time has become the new currency, and there are not enough minutes in the day.